There is at least one Guided Tour each day, to visit the castle with a professional guide. Duration of the tour, approximately one and a half hour. Summer Holidays: Guided Tours every day at 11 am, 2:30 pm and 4 pm. April, May, June and September: Guided Tours from Tuesday to Sunday, at 2:30 pm and 4 pm. February, March, October, November and December: Guided Tour from Tuesday to Sunday at 3pm. You can follow a marked itinerary at your own pace, to give you the chance to look at the rooms of the château with the help of the castle’s map (available in French, English, German, Dutch, Italian and Spanish). Fact Sheets are also present in every room of the castle, to give you information about the Castle’s history and furniture. These sheets are available in French, English et German. For children, a specific documentation can also be found is these three languages. Self-Guided Tour duration: approximately between one hour and one and a half hour. Different booklets are available for free at the Ticket Office. They allow for children to have fun and discover the castle in another way. Drawing Booklet (available in French, English and German, for children of 6 years old or younger): the youngest visitors are invited to give color to the castle’s works. It’s a way to express and immerse oneself in the castle’s life and history. Game Booklet (available only in French, for children from 7 to 12 years old): Max, a young detective, suggest a fun way to discover the castle’s mysteries. 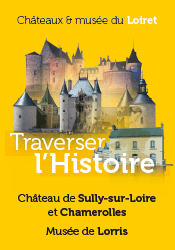 Discovery Booklet (available only in French, for children from 7 to 12 years old): to discover the castle and its history. Christmas: Christmas at the Castle (only in French). The Castle offer visits suited for the educational world, allowing the young public to discover the place with their class (from kindergarten to secondary school). Themes are various: architectures, collection, the castle’s ornament, the daily life of the former castle’s inhabitants, and so on. The personnel on the site can welcome you in English and in French.